Located at No.1, Rue Derrière le Four in Vosne-Romanée, nestled next to an old stone house, sits Domaine De La Romanée Conti. 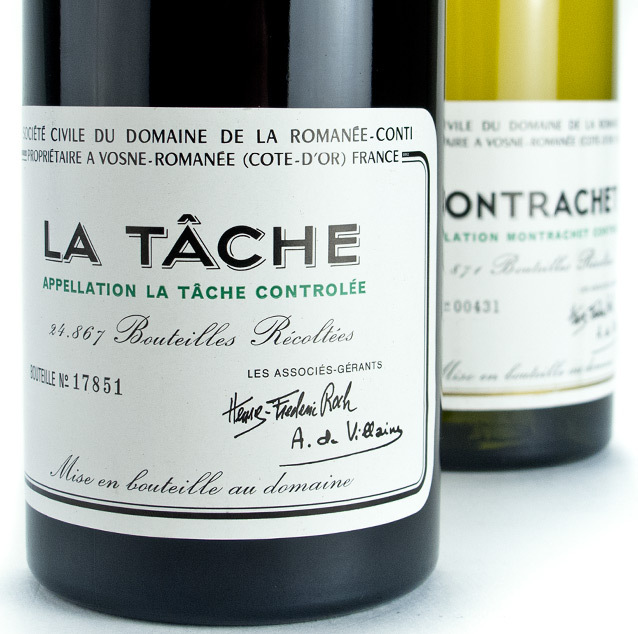 Boasting seven Grand Cru Vineyards- with 2 of them: La Romanée-Conti and La Tâche, being designated as "monopoles” or hailing from a single vineyard and producer, these are the rarest and most highly sought-after wines in the world. The domain's winemaker, Aubert de Villaine, over the past 40 years, has done much to protect the reputation of quality of Burgundy's greatest bottles. Mr. de Villaine's great-great-great grandfather began acquiring their most famous crus including: 100% of the La Tâche vineyard, 44% of the masculine-style Richebourg vineyard, 55% of the elegant Romanée Saint-Vivant, 38% of Grands Echézeaux and 12% of Echézeaux. There is such attention to every detail that their vineyards are farmed by hoof: utilizing the gentle action of horse's hooves, rather than heavy machinery, so that the soils are not compacted by weight.